Put the “ooh and ahh” back in the bedroom with this nifty little piece of technology. CEO and founder of Pulse, Amy Buckalter was going through the difficult changes brought upon by menopause. Not only was it affecting her hormonal state, but it also affected her sexuality. Amy had trouble trying to find a good lubricant that was not sticky or too thick and jelly like, she even disliked what the obstetrician and gynaecologist used. Finally, she had a moment of inspiration and determination. Amy was to give birth to an idea that would help all women and men, with the added bonus of bringing luxury to the bedroom. Inspired by a Nespresso coffee machine, Amy speculated the idea of making pods for lubricants. She noticed the Nespresso capsules were stylish, clean and convenient. After 4 years of hard work in product development and enduring frustrating setbacks, her baby ‘Pulse’ was born. Pulse is the first warming lubricant dispenser, which has revolutionized the means of distributing lubricant from inconveniently manual and time consuming tubes; which proves to be quite messy. Fumbling around with tubes and bottles that are sticky, can be a serious mood killer, especially when things are just getting heated. With the Pulse Personal Lubricant Warming Dispenser, when things are getting heated, you need not worry as the dispenser is heating up your lubricant, waiting for your hand to gently glide under so the warm silky substance can grace your palm in one, swift, easy motion. There is no fumbling, no mood killers and certainly no ickyness. Designed to look sleek, modern and discreet, the pulse lubricant dispenser is the ultimate bedside table companion. If you’re worried about guests seeing, it’s okay, the dispenser is also designed to fit in a drawer with ease. The ingenious mood light function, is the hero of this seductive device, as it features six sensual colour choices, which is sure to set a sultry tone. If you slowly sweep up or down the vertical brightness slider, it will change the intensity of the mood light. Its intuitive technology makes it easy to use as all function require one touch; like a touch of love. To warm the pulse pods, all is needed is a touch and the device will start pulsing, which can be seen by a white light pulsing. If you’re worried about your kids playing with your love device, all you have to do is hold your finger on the pulse control button for 3 seconds and the light will turn blue. To turn off the child lock, just do the exact same and in just 3 seconds, you will have gained control again. The Pulse Pods contain the real magic, when it comes to being satisfied by this device. Expertly formulated by a team of “Love Doctors,” the lubricant in each pod contains natural ingredients, and has been certifiably tested and FDA cleared as a class II Medical device. The two personal lubricant pods available are a silicone-based formula and water-based formula. Without a doubt, the best feature of these pods have to be the names, Aloe-ahh and H2Oh! (genius). 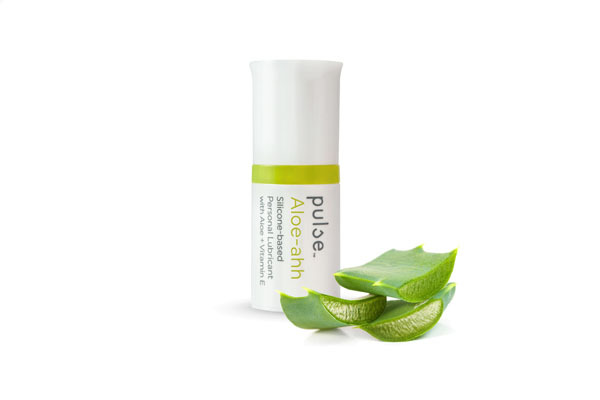 The Aloe-ahh Personal Lubricant Pod is pulses exceptional silicone-based formula, which is made with two of the world’s most time-tested moisturizing ingredients, soothing aloe and vitamin E. It is hypoallergenic, so people with sensitive skin won’t have any troubles, it is also free of glycerine, parabens and petroleum. The only feeling you get from this pod is ahh, as it glides on your hand and offers a silky, smooth texture. The Pulse H2Oh! Personal Lubricant Pod is Pulse’s natural water-based lubricant, which features only top-of-the-line ingredients. This is also the first personal lubricant to use chia extract as a cushioning agent, and is also unscented and non-sticky. Same with the Aloe-ahh, this lubricant it completely hypoallergenic, with no harsh preservatives, parabens, glycerine or petroleum. This personal lubricant is like holding water in your hand, as it is sleek and non-stick. Each pod has exactly 9 sensual servings in each pod, however when used without dispenser the serving sizes can yield more or less. When you’re running low the dispenser will give a light indicator to hint that you’re running low. The bonus pump feature on the Pulse Pod also allows for you to take it on the go, which is both convenient and fun. The pods are specifically designed to be airless so that cleanliness is top priority and nothing goes to waste. Even the Pods themselves are recyclable. 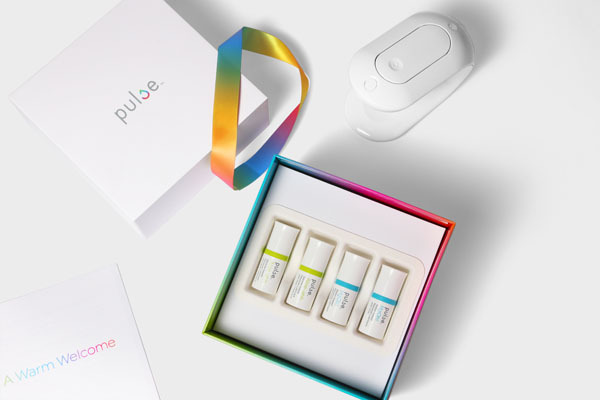 Pulse will transform rushed daily routines into sensual personal care rituals, by bringing luxury and style into the bedroom, without the fuss. While your heart is pulsing, your pulse will be pumping warm luxurious and silky personal lubricant.